2019-01-02 Between 2017 and 2018, Allibus Transportes renewed its fleet with 248 buses produced by Caio Induscar, the largest manufacturer of urban buses in the country. The São Paulo company operates in the Transportation System of the eastern zone of São Paulo, daily serving around four hundred and thirty thousand passengers, striving to offer service efficiently and collaborate even more with the São Paulo transport system. In addition to Allibus providing quality service, aiming to meet the needs and expectations of its passengers and partners. It has a fleet of more than 600 accumulated vehicles. There were 208 units of the Apache VIP model, the country`s best-selling urban product and renowned in the transportation market, due to its quality, durability and technology. 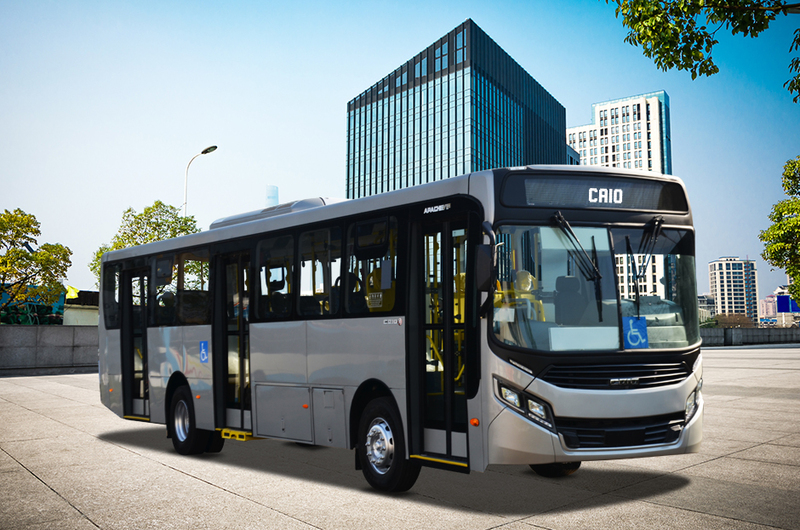 Part of the Apache VIPs are in the midibus version, because the size and agility of the vehicles help transport on narrower and difficult to access roads, operated by the company. Also purchased by Allibus were 40 units of the F2400 micro-bus, in the urban version. The model brings practicality to circulate through narrow streets and designed with the objective of facilitating the maintenance and replacement of items. About 50% of all units, between urban and micro, have air conditioning, providing greater thermal comfort to the passengers. The buses also have items that provide greater convenience during travel, both for the driver, such as the high back hydraulic armchair, as well as for passengers, such as the injected seats, fully upholstered, and USB sockets, for charging smartphones and other electronics. All buses also have electronic itineraries and items for fleet management system. Caio Induscar aims to be close to its customers, performing a service with excellence in quality products and technology, that go beyond their expectations and meet their needs.